Aerojet Rocketdyne, has successfully completed a hot-fire test of its MPS-120 CubeSat High-Impulse Adaptable Modular Propulsion System™ (CHAMPS™). The MPS-120 is the first 3D-printed hydrazine integrated propulsion system and is designed to provide propulsion for CubeSats, enabling missions not previously available to these tiny satellites. The project was funded out of the NASA Office of Chief Technologist's Game Changing Opportunities in Technology Development and awarded out ofNASA'sArmstrong Flight Research Center. The test was conducted in Redmond, Washington. "Aerojet Rocketdyne continues to push the envelope with both the development and application of 3-D printed technologies, and this successful test opens a new paradigm of possibilities that is not constrained by the limits of traditional manufacturing techniques," said Julie Van Kleeck, vice president of Space Advanced Programs at Aerojet Rocketdyne. "The MPS-120 hot-fire test is a significant milestone in demonstrating our game-changing propulsion solution, which will make many new CubeSat missions possible," said Christian Carpenter, MPS-120 program manager. "We look forward to identifying customers to demonstrate the technology on an inaugural space flight." The MPS-120 contains four miniature rocket engines and feed system components, as well as a 3D‑printed titanium piston, propellant tank and pressurant tank. The MPS-120 is designed to be compatible with both proven hydrazine propellant and emerging AF-M315E green propellant. The system is upgradable to the MPS-130™ green propellant version through a simple swap of the rocket engines. The entire system fits into a chassis about the size of a coffee cup. "Demonstrating the speed at which we can manufacture, assemble and test a system like this is a testament to the impact that proper infusion of additive manufacturing and focused teamwork can have on a product," said Ethan Lorimor, MPS-120 project engineer at Aerojet Rocketdyne. "The demonstration proved that the system could be manufactured quickly, with the 3D printing taking only one week and system assembly taking only two days." The MPS-120 demonstrated more than five times the required throughput on the engine and several full expulsions on the propellant tank. This demonstration test brought the system to Technology Readiness Level 6 and a Manufacturing Readiness Level 6. The next step in the MPS-120 product development is to qualify the unit and fly it in space. This application of Additive Manufacturing (AM) is one example of Aerojet Rocketdyne's numerous efforts to apply existing AM techniques. It's a fully integrated cross-discipline effort ranging from basic process development to material characterization. The application also uses rigorous component and system level validation, enabling the benefits of AM with the reliability expected of traditional Aerojet Rocketdyne systems. 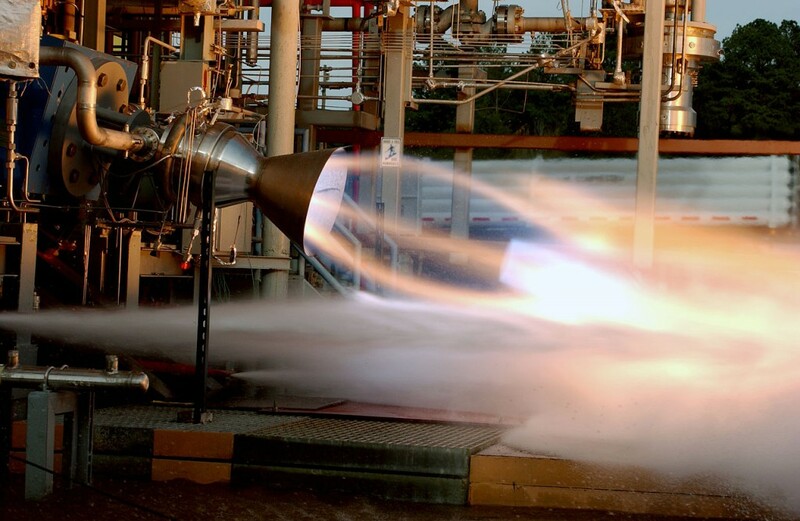 While the MPS-120 is Aerojet Rocketdyne's first 3D-printed integrated propulsion system, the company has previously conducted several successful hot-fire tests on 3D-printed components and engines. Those tests include an advanced rocket engine Thrust Chamber Assembly using copper alloy AM technology in October 2014; a series of tests on a Bantam demonstration engine built entirely with AM in June 2014; and a series of tests in July 2013 on a liquid-oxygen/gaseous hydrogen rocket injector assembly designed specifically for additive manufacturing.